Now thru January 5th, Target is offering 20% off Finish Dishwashing products with these Cartwheel offers these are valid in-store only. 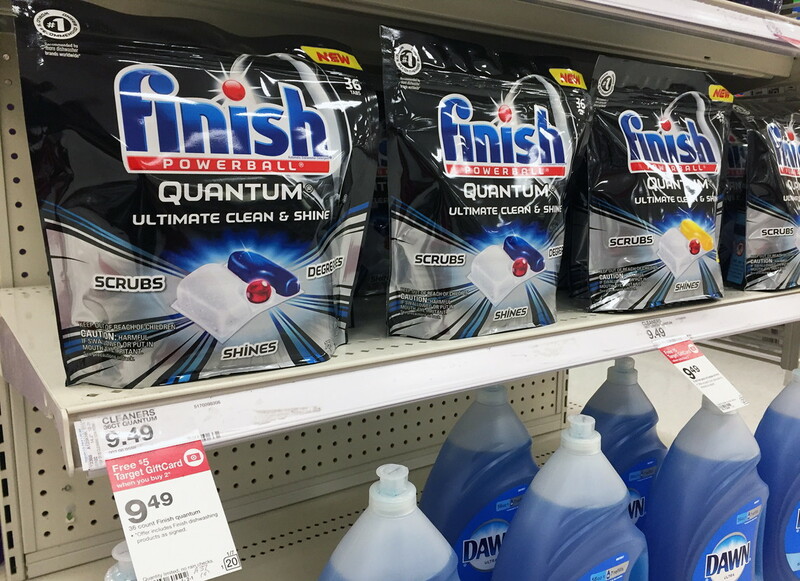 Even better, through December 29th, you can score a Free $5 Target Gift Card when you make a $15+ Household Cleaning purchase including the Finish products above! Plus, keep an eye out for Finish Quantum Tabs packages that have a free Jet Dry Rinse Aid offer on them!